Protema PRO200LESE with electrically tiltable arms. PRO200LESE is our largest Protema model equipped with EasySqueeze tool. This special PRO200LESE is used for handling reels weighing up to 105 kg. The reels are lifted from a vertical position, tilted 90° into a horizontal position and then tilted back again to a vertical position. Watch video. The swiveling arms can be adjusted for different reels, max reel size for free swivel is Ø390x630mm. 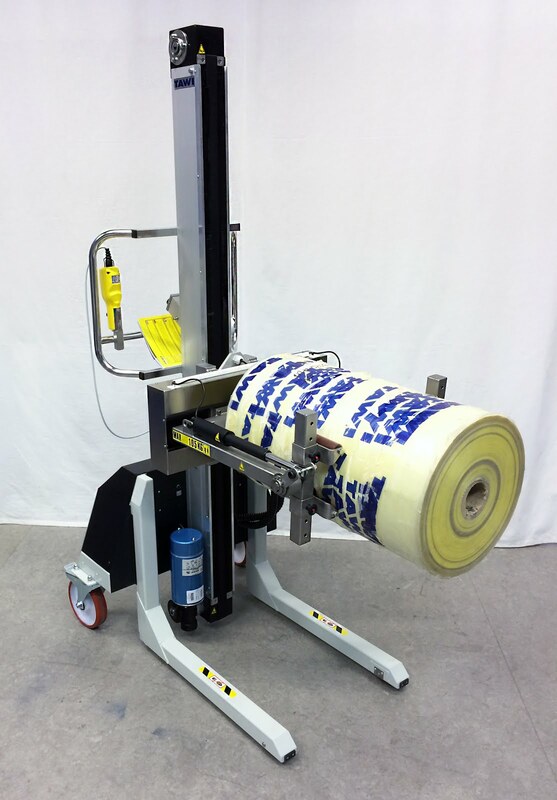 Another popular solution for reel handling is Protema with Coregripper tool that makes it possible to manually turn the reel from a vertical to a horizontal position or the other way around, without any effort. 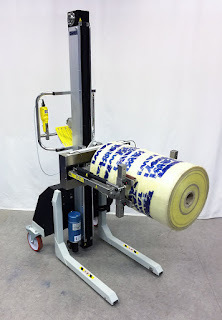 For more information about our different ergonomic solutions for reel handling, click here.